USES: This medication is used to relieve nerve pain after shingles (infection with the herpes zoster virus). This type of pain is called post-herpetic neuralgia. Lidocaine helps to reduce sharp/burning/aching pain as well as discomfort caused by skin areas that are overly sensitive to touch. 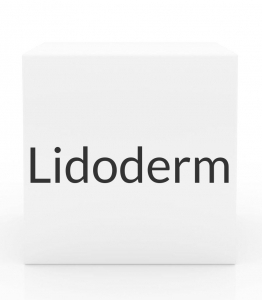 Lidocaine belongs to a class of drugs known as local anesthetics. It works by causing a temporary loss of feeling in the area where you apply the patch. HOW TO USE: This product should only be applied to healthy, normal skin. Do not apply to skin that is broken or irritated. Dosage is based on your medical condition and response to therapy. Remove the protective liner and apply the patch to the skin area that is most painful. Apply the prescribed number of patches, usually only once a day for up to 12 hours or as directed by your doctor. Do not apply more than 3 patches once a day or leave any patch on for longer than 12 hours in any 24-hour period. If a smaller patch is needed, it may be cut with scissors before the liner is removed. Wash your hands well after each application. Avoid getting this medication in your eyes or mucous membranes (e.g., nose, mouth). If contact with the eyes accidentally occurs, wash your eyes immediately with water and protect them until normal feeling returns. Inform your doctor if your condition does not improve or worsens. Used patches still contain some medication. However, do not reuse them. Fold the used patch with the sticky sides together and discard it out of the reach of children and pets to prevent accidental swallowing or application. SIDE EFFECTS: Redness, swelling, blisters, or changes in skin color at the site of application may occur. These effects usually disappear within a few minutes or hours. If any of these effects persist or worsen, notify your doctor or pharmacist promptly. If irritation or a burning feeling occurs, remove the patch(es) and do not reapply until the irritation is gone. Remember that your doctor has prescribed this medication because he or she has judged that the benefit to you is greater than the risk of side effects. Many people using this medication do not have serious side effects. Tell your doctor immediately if any of these unlikely but serious side effects occur: blurred vision, mental/mood changes (e.g., nervousness, confusion), drowsiness, dizziness, unusually slow heartbeat. A very serious allergic reaction to this drug is unlikely, but seek immediate medical attention if it occurs. Symptoms of a serious allergic reaction may include: rash, itching/swelling (especially of the face/tongue/throat), severe dizziness, trouble breathing. This is not a complete list of possible side effects. If you notice other effects not listed above, contact your doctor or pharmacist. In the US - Call your doctor for medical advice about side effects. You may report side effects to FDA at 1-800-FDA-1088. In Canada - Call your doctor for medical advice about side effects. You may report side effects to Health Canada at 1-866-234-2345. PRECAUTIONS: Before using lidocaine, tell your doctor or pharmacist if you are allergic to it; or to other local anesthetics; or if you have any other allergies. This product may contain inactive ingredients, which can cause allergic reactions or other problems. Talk to your pharmacist for more details. Before using this medication, tell your doctor or pharmacist your medical history, especially of: severe liver disease. While wearing your patch, avoid exposing it to direct heat sources such as heating pads, electric blankets, heat lamps, saunas, hot tubs, heated waterbeds, or prolonged direct sunlight. Heat may cause more drug to be released into your body, increasing the chance of side effects. This medication should be used only when clearly needed during pregnancy. Discuss the risks and benefits with your doctor. This medication passes into breast milk. While there have been no reports of harm to nursing infants, consult your doctor before breast-feeding. DRUG INTERACTIONS: Your healthcare professionals (e.g., doctor or pharmacist) may already be aware of any possible drug interactions and may be monitoring you for it. Do not start, stop or change the dosage of any medicine before checking with them first. Before using this medication, tell your doctor or pharmacist of all prescription and nonprescription/herbal products you may use, especially of: certain drugs used to treat irregular heart rhythm (Class I anti-arrhythmic drugs such as mexiletine, tocainide), other local anesthetic products. This document does not contain all possible interactions. Therefore, before using this product, tell your doctor or pharmacist of all the products you use. Keep a list of all your medications with you, and share the list with your doctor and pharmacist. OVERDOSE: If overdose is suspected, remove the patch. This medicine may be harmful if swallowed. Contact your local poison control center or emergency room immediately. US residents can call the US national poison hotline at 1-800-222-1222. Canadian residents should call their local poison control center directly. Symptoms of overdose may include severe drowsiness, seizures, slowed breathing, slow/fast/irregular heartbeat. STORAGE: Store at room temperature at 77 degrees F (25 degrees C) away from light and moisture. Brief storage between 59-86 degrees F (15-30 degrees C) is permitted. Do not store in the bathroom. Keep the patch sealed in its protective envelope until ready to use. Keep all medicines away from children and pets. Do not flush medications down the toilet or pour them into a drain unless instructed to do so. Properly discard this product when it is expired or no longer needed (See How to Use section).